Chocolate makes the perfect wedding favour, but if you are looking for something a little different, how about these adorable, foil-wrapped chocolate squares? 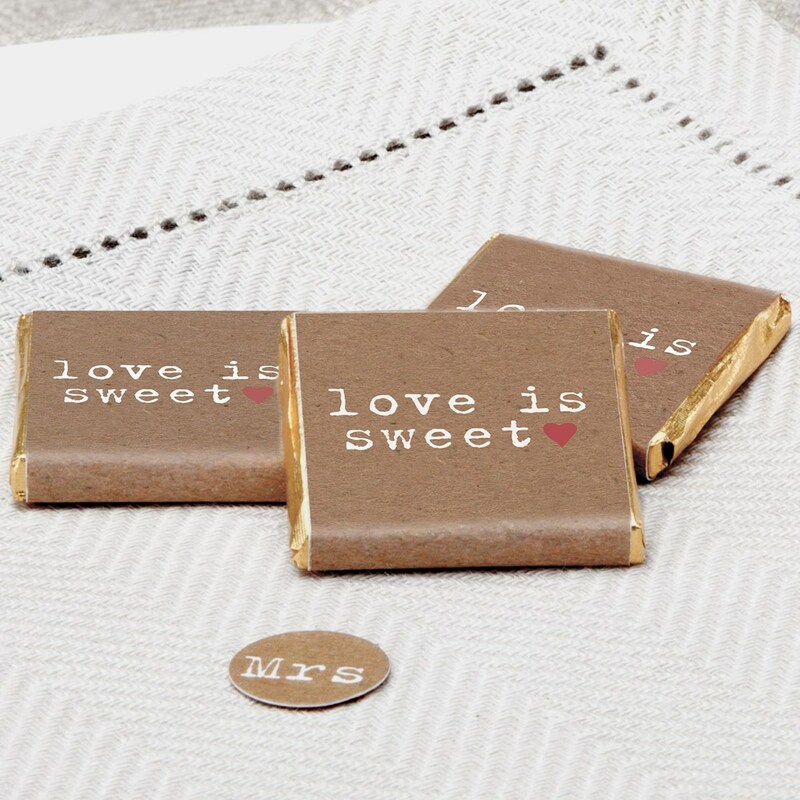 Encased in brown paper, inscribed with the words "Love is Sweet" and accompanied by a simple love heart, these chocolatesmake a truly chic gift for your guests to take home. Each pack contains 20 chocolate squares.